The chairman of Caithness and Sutherland Enterprise (CASE), Pat Buchanan, long with chief executive Carroll Buxton, welcomed three new directors to the local enterprise company's board yesterday (Tuesday 14th December). The three new members are David Halpin, who lives in Dornoch; Willie Calder from Thurso and Nick Gorton, based in Lochinver. Between them they have a wealth of experience across a variety of sectors. David Halpin has a long and notable career in the armed services and has been the range officer for Cape Wrath bombardment range in Sutherland since 2001. Prior to that he was responsible for the day to day running of Otterburn training area in Northumberland, one of the largest training areas in Europe. David is a proactive and enthusiastic manager, who joined the army in 1971 and progressed steadily through the ranks, serving throughout the world. In recent years his career has focused on the planning and execution of complex military projects. On a personal level he has a keen interest in all country sports and is vice chairman of his local angling club. premises and employs 20 workers. Willie is actively involved in the fishing industry in Scotland, he is a director of the Scottish White Fish Merchants Association as well as being chairman for the Wick and Scrabster Fish Traders Association and chair of the Scrabster Trust. 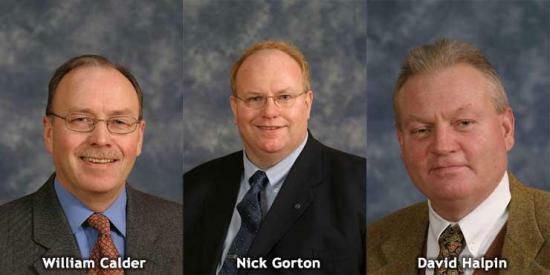 Joining David and Willie on the board is Nick Gorton. Nick has been general manager of the Inver Lodge Hotel in Lochinver since 1988. He has vast experience in the food and drink sector, having worked in hotels and restaurants in various locations around the UK for the past 25 years. His personal interests reflect his professional ones, with cooking and fine wine being among his favourite pastimes. Commenting on the new members to the board CASE chairman, Pat Buchanan said: "I am delighted to welcome David, Willie and Nick to the board, three people with successful but diverse business backgrounds. They bring a wealth of experience to the table and can contribute much to the work CASE does throughout the area. "I would also like to pass on my sincere thanks to Joan Campbell, Edward Mackay and Robert Powell, who are retiring from the board, for all their hard work with CASE over the years."